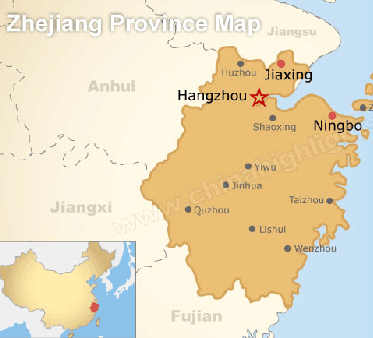 IEC-TCM is located in downtown Hangzhou, the capital of Zhejiang province, adjacent to the beautiful West Lake. Known as the "Paradise on Earth", Hangzhou has long been famous for its breathtaking scenic beauty and abundant natural resources. On June 24, 2011, Hangzhou was honored to be included in the" World Heritage List", which is the only one "World Heritage" of lakes class in China. On the west side, the Center is closely neighboring the charming landscape West Lake; on the south, it can view the Heavenly Wind of Wushan Mountains; on the east, it connects to the Dreaming Song style Zhongshan Historical Street; while north part is the busy and prosperous economical commercial Center. During the 13th century, the famous Italian traveler Marco Polo visited Hangzhou and described it as " the most beautiful and magnificent city in the world". It is only 50 meters away from the IEC-TCM building. Around the IEC-TCM, there are free-market-street fairs, galleries, teahouses, traditional restaurants and curio shops for visiting, shopping and browsing. If you land at Terminal One of Shanghai Pudong Airport, you can take the elevator the one near Gate 14 to the second floor; go pass the route way to the parking lot building, then come down to first floor, you will easily find the shuttle bus parking lots. If you land at Terminal Two, you go thought the Route way No. 6 to the end. The shuttle bus station is on the other end of Route way No. 6. Shuttle bus costs RMB 100.00/per ticket, takes 3 hours to the downtown Hangzhou. And you please get off t at the station of WU LING SQUARE. From WU LING SQUARE to the HOTEL or to Hospital, it only takes 15-20 minutes and costs not more than RMB 30.00 by taxi. The first shuttle bus leaves Airport to Hangzhou at 8:40AM, the last bus leaves at 8:00PM. In between, every hour has one bus to Hangzhou. Firstly, you take Subway from Putong airport to Hongqiao Railway station. The subway(Metro) platform is inside the airport. It takes 45-60 minutes to Hongqiao Railway station. And then, from Hongqiao Railway station, you take another superfast train to Hangzhou, it takes about 50-60 minutes to Hangzhou. From Hangzhou train station, you can take a taxi to hotel that only costs RMB20 and 20 minutes. If you arrive in Hangzhou East railway station, also take a taxi to the hospital or hotel.